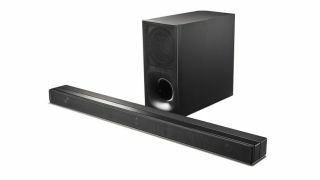 The best cheap soundbar deals 2019 | What Hi-Fi? Your TV's speaker probably isn't very good. But fear not, there is a way to improve things so you can hear dialogue more clearly during TV shows and up the ante with film soundtracks. Whether you choose a soundbar or soundbase, it's an easy way to boost your TV's sound performance without cluttering your lounge with speakers. And the good news is there are some great cheap speakers, as well as some excellent more premium options if you're partnering with a bigger, more expensive TV. The best soundbars will offer pseudo surround sound and some models even support next-generation Dolby Atmos sound. Here's our pick of the best prices on some of our favourite speakers for boosting your TV's sound.